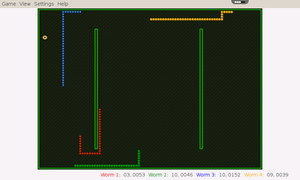 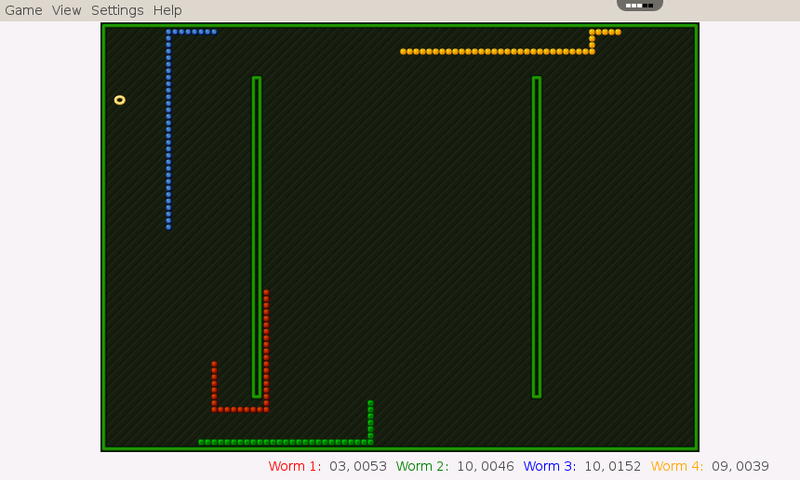 Nibbles is a worm game. 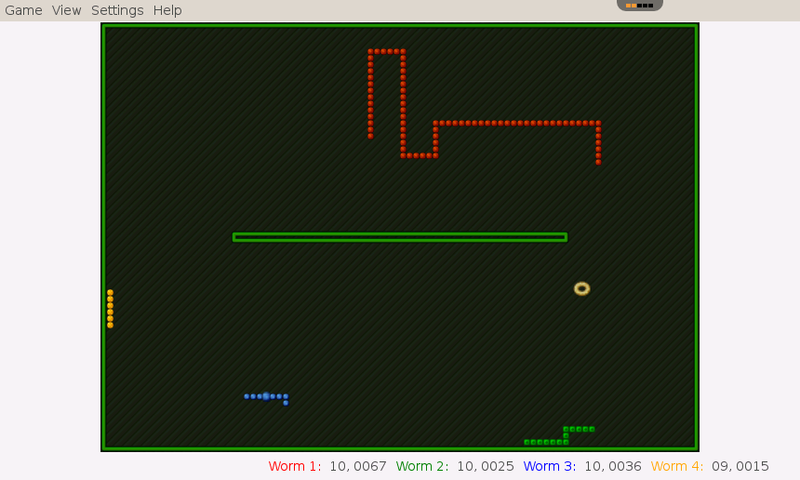 The player controls a 2D worm while trying to get food. 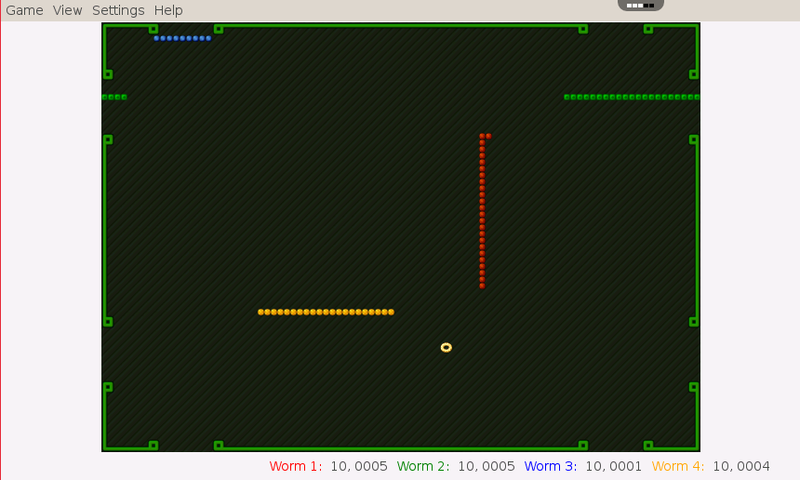 Getting food gives points, but hitting anything causes a loss of points. When all points are lost, the player loses.